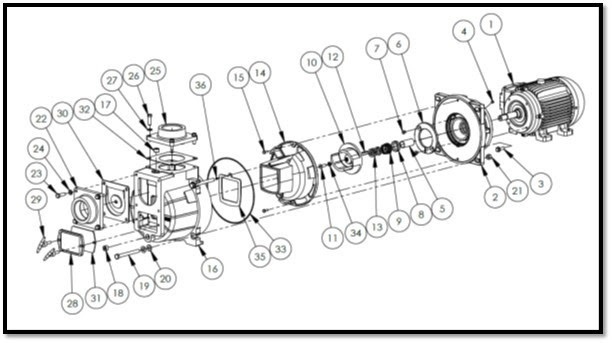 The performance for these new models will remain the same as well as the 3" NPT Ports. Both models will still provide 7 1/2 Horsepower, 3 Phase with TEFC (Totally Enclosed Fan Cooled) motor enclosure. You can see the design modification by viewing the old product pages which are still viewable on PumpCatalog.com and comparing them to the image see above. The cast iron casing has been updated and redesigned with new tooling to fall in line with American Machine and Tool's modular design (see exploded view parts diagram below). 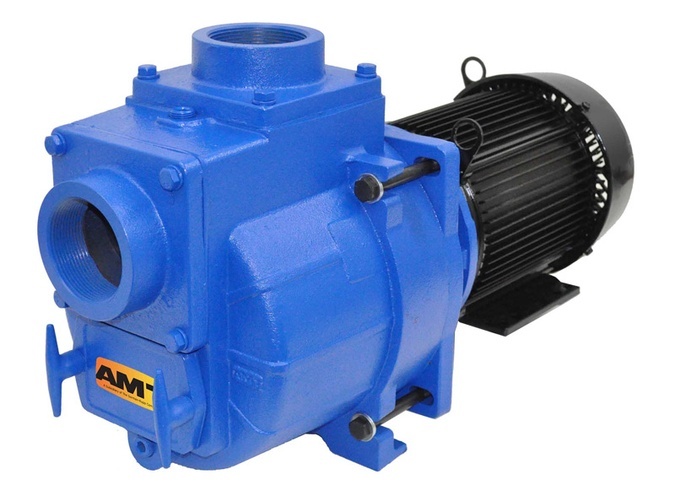 This enhancement will better allow for greater part interchangeability within the Self Priming Electric Sewage / Trash Pump Series offered by AMT. Note: These model number changes are effective as of date posted above. AMT continues its quest to bring the best product and the best price. These pumps are beats!